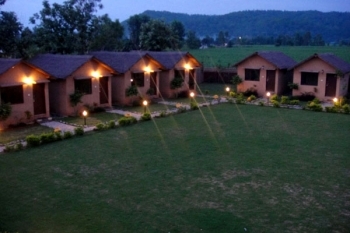 Corbett Adventure Resort is the newest addition to the luxury resorts in the serene environs of Corbett National Park. It is a blend of luxury living and adventure park and offers first class comfort with personalized services to its guest. The Corbett adventure resort offers eminent hospitality through its location, architecture, design & high level of services. Corbett Adventure Resort is strategically located on Ramnagar-Nainital road and surrounded by lush green forest area and green fields, which makes it a remarkable and distinguishable amongst all other wildlife resorts around Delhi. The major tourist attraction nearby from Corbett Adventure Resort includes; Jim Corbett National Park (2 km), Corbett water fall (12 km), Corbett Museum (20 km), Garjia temple (18 km), Nainital (60 Kms) and Ranikhet (55 Kms). 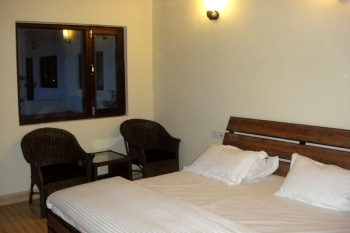 There are 8 Deluxe Village Cottages, 4 Premium Rooms & 2 Luxury Family Cottages in Corbett Adventure Resort. Each unit is air-conditioned, spacious, well furnished & equipped with modern amenities to ensure that guests have a comfortable and memorable stay. New Delhi airport is situated at a distance of 265 km from Corbett Adventure Resort whereas; Ramnagar railway station is 12 km away and is easily accessible.